The Rocky Horror Show film, banned in Singapore for nearly 30 years, is finally making its debut in the country, according to reports. The 1975 film of the musical, starring Susan Sarandon, was banned by Singaporean authorities because of it sexual and masochistic content. The movie will be shown for the first time at an outdoor Halloween party on 1 November, the Straits Times paper said. Only people who are more than 21 years old will be allowed to watch the film. The film sees a couple stumble into a castle run by a deranged, cross-dressing scientist. It also stars Tim Curry, Meat Loaf and Richard O'Brien, who wrote the musical. Singapore's government is known for its strict censorship of entertainment, including films, TV programmes and pop music. Singapore recnetly banned episodes of the US comedies Six Feet Under and Ally MacBeal, and the film Zoolander, where one of the characters plots to assassinate the prime minister of Malaysia. The film has proven to be a cult favourite with fans all over the globe, with cinemas encouraging fans to dress up as the characters for interactive screenings. 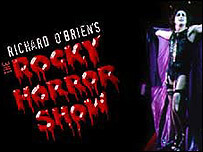 The Rocky Horror Show musical made its London debut in 1973 at the Royal Court Theatre, and became a massive hit overnight. Jason Donovan donned fishnets and corsets to play Frank 'n' Furter in the silver anniversary production of the show. Others who have played the role include Darren Day, Anthony Head and former champion skater Robin Cousins, as well as Robbie Williams' friend Jonathan Wilkes.